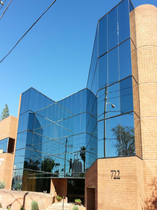 Arizona Window Washers is a full scale window cleaning company offering commercial window cleaning and window cleaning for businesses in the Phoenix, AZ area. Our services are unique and tailored for owners, property managers, maintenance personnel, and anyone else trusted with the care and image of their facility. 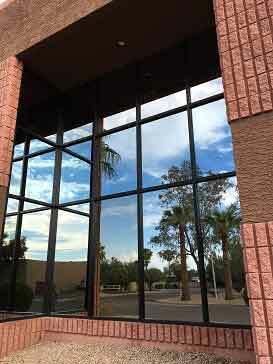 A commercial window cleaning maintenance schedule from Arizona Window Washers will help you maintain and protect a positive image of your company. Our window cleaning maintenance schedules will also help protect the investment of your property and save you money. We understand that most companies and businesses have a budget for their window cleaning services and we will work within your budget without sacrificing quality and service. 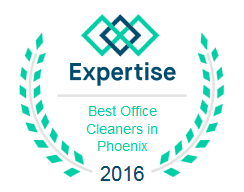 Our professional, highly trained, and invested in technicians have several years experience in commercial window cleaning. We can only service mid-rise buildings up to four stories at this time. We carry a high insurance and liability policy for commercial window cleaning. Our quotes are free and detailed. Call us today for your all over home window cleaning services need.